We are stocking this magnet in BLACK only. Other colors are available on a "Direct from China basis". This magnet measures 1.875" in diameter, and is .156" thick. The magnet on the backside measures 1.75" in diameter, and is .066" thick. 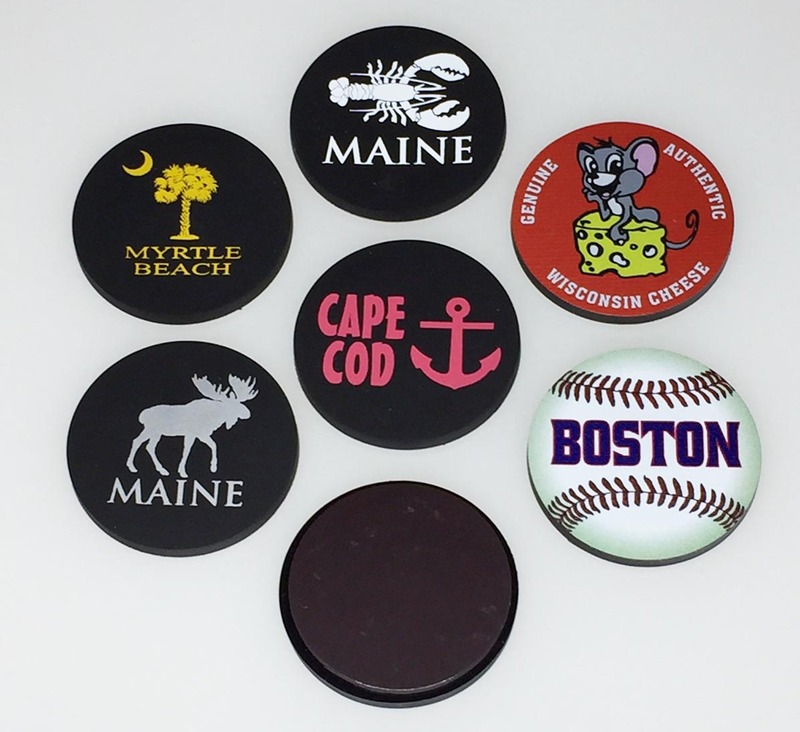 Domestically, we can do 1-color logos through full color logos. China can only do similar images.